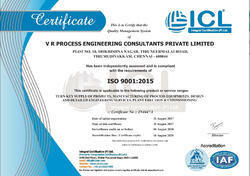 V R Process Engineering Consultants Private Limited is basically a private limited base company, which established in the year 2013. Our company is the prominent manufacturer and exporter of Extraction Plant, Biodiesel Production Plant, Distillation Plant, and much more. We are also involved in providing Turnkey Services to our customers. These products are highly used in industrial, domestic and commercial areas. Offering products are easy to use, highly durable, reliable, long functional life and more efficient. We manufacture these products using standard grade raw material that buy by the certified vendors of the markets who have excellent experience in their field. Quality of product is the main objective of our company. We are efficient to satisfy our clients completely. Our professionals have deep knowledge and experience in their domain that helps in producing best quality products which mostly satisfied the customers. By providing best quality products to our customers, we have maintained a trustworthy relationship with our valuable clients and other organization in the market. We have reach in this point of success in a short period of time among this competitive market. 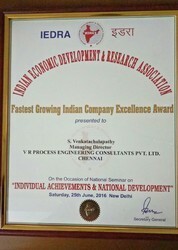 All this became possible with the help of our mentor Mr. Venkat Chalapathy. Under his guidance and support we have grown our business rapidly. He has years of experience and knowledge in their domain. He teaches our professionals to work with full passion and dedication to achieve their targets. He encouraged and supported us in all possible manners. There is a transparency in our business. For providing best quality products to our clients we built finest infrastructure facility that spread over a large are of land in Tamil Nadu. Our infrastructure are segregated into different departments such as manufacturing, supplying, exporting, packaging, technical, non-technical, sales and marketing departments, which helps us in producing bulk quantity of products. We use advance technology, latest machines and equipments in formation of quality products. We upgrade our infrastructure facility timely as per the requirements of industry. We stand apart in this domain from other party. We are backed with strong infrastructure facility required for Design, Detailed Engineering, Manufacturing, procurement and Project Execution. We have our own workshop facility located at Tirumudivakkam, Chennai - 600 044. We use latest machines and technology for providing superior quality products. With the help of our infrastructure We are able to meet customer demands and ensure timely delivery of our quality products and services. Our focus is to attain maximum satisfaction of our clients by providing superior Quality Products and Services. We have well defined quality control procedures which is strictly followed by our Quality Control Engineers. Our professionals communicate regularly with our clients to get their feedback and suggestions, for continuous improvement. We take care to supply robust equipment with good aesthetics for better appearance. 6. Grb Dairy Foods Pvt Ltd, Hosur. 8. 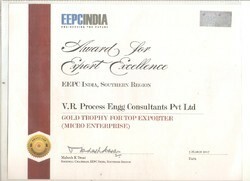 Uli Exports, New Delhi. 11. Avvyaktt Oils Pvt Ltd, West Godavari Dist. Telengana. 16. Khanda Bio Fuels, Zaheerabad. 18. 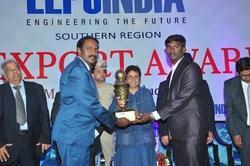 Southern Online Bio Technologies, Vizag. For providing best quality products we hire fully skilled and experienced team of professionals. Our team has wide knowledge in their domain. This helps us in smooth processing of the business and completing the task on time. These professionals work with full dedication and passion. Due to the best workforce we are capable to meet huge market demands. We are known for providing best quality products at reasonable price. Our products are highly durable in nature and easy to use. These products can be used highly in industrial, domestic and commercial areas. We export our equipments to all over the world.